I’m going to tell you what I tell them, and it’s the same thing I’ve been saying for a few years now. 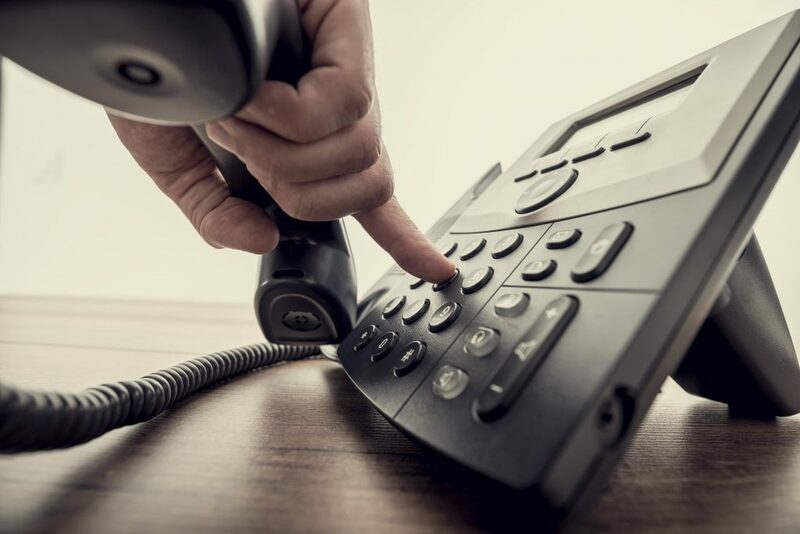 Phone calls aren’t going away anytime soon, and they should continue to be a core part of your recruiting communications strategy. The counselors who enjoy them and become better at them will have a huge advantage over their competition. The majority of high school juniors and seniors that are in your CRM right now continue to find phone calls from admission counselors valuable when they’re done correctly (i.e. the way that students want). In today’s article I’m going to provide you with some updated survey research on phone calls, and I’m also going to give you 7 tips that will help you improve your phone conversations…including getting the student to answer the phone in the first place. Let’s start with the data. In our ongoing survey research, we ask students, “In terms of communication, tell us how often throughout your college search process you wanted colleges to contact you in each of the forms below.” Those forms are by phone, mail, email, text and on social media. And the options to choose are once a day, once a week, 2-4 times per week, once per month, and never. The results speak for themselves. Three out of every four students you’re trying to convert find phone calls from colleges to be valuable. Now, you might be thinking, “Then why don’t most students pick up the phone when I call?” The answer is pretty simple. Students tell us that in most cases they don’t know it’s you calling. And even if they do recognize the number or see your school’s name on their caller i.d., they don’t know what you want to talk with them about, so most assume all you’re going to do is “sell” your school and push them to take an action they may or may not be ready to do. That’s not something most students have any interest in doing. Set up your call and explain the why. Your call answer rate will increase significantly if you start doing both of those consistently. You can set up your calls via email, text, or in-person when the situation presents itself. And don’t forget to explain why you need to talk to the student. Doing that also allows the student to think of questions ahead of time versus feeling like they’re put on the spot during your call. Keep your calls short and to the point. A lot of students tell us they’d much rather you get straight to the point versus making a bunch of “small talk.” 10 minutes is a good baseline to use if you’re trying to figure out when a call may be getting too long. The only reason to extend the call is if the student is controlling the conversation. Be authentic. “Don’t make it sound so scripted. Say what you want to say and have a genuine conversation.” That student quote from a recent survey summarizes this bullet point well. Possess confidence. The reason they need confidence from you is simple. Your confidence may be the thing that helps separate you from the competition and gets them to take the next step. Listen closely and take notes. Make sure you’re giving the student your undivided attention during the call. Don’t try and multi-task just because they can’t see you. Jot down a couple of notes during the call and then make sure you upload those notes to your CRM so that you (or one of your colleagues, student callers, or tour guides) can reference them later on. Clearly explain and confirm next steps. There’s always a next step and I want you to clearly define it for them every single time versus assuming they know what to do next. It’s also good practice to have the student verbally confirm back their next step, so that everything is clear and there are no questions. I’m going to say it one more time before I go because it’s that important. Phone calls aren’t going away anytime soon, and they should be a core part of your recruiting communications strategy. Take these proven tips I’ve given you and incorporate them into your regular call routine. Doing so will help you increase your call answer rate and the effectiveness of your phone calls. Good luck! If you’ve got questions about this article, I’m happy to start a conversation. Reach out any time.